← CAVAN HOGUE. Malaysia’s first new government in six decades revels in a shocking victor. GLEN SEARLE, CRYSTAL LEGACY. A closer look at business cases raises questions about ‘priority’ national infrastructure projects. 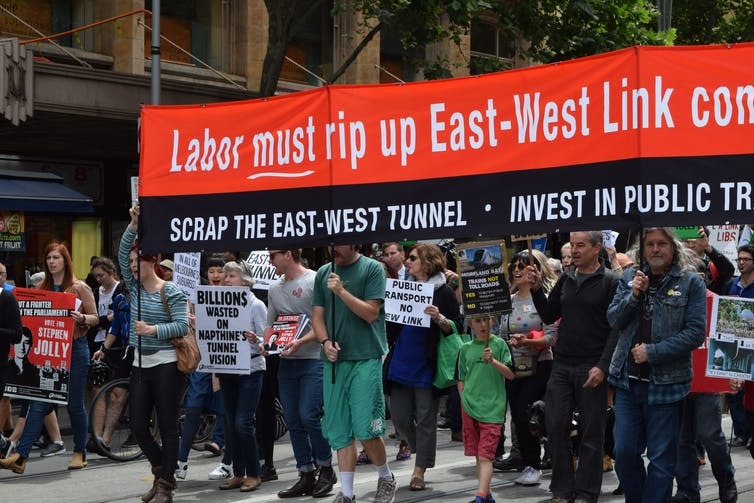 Infrastructure Australia’s latest infrastructure priority list has been criticised for being “too Sydney-centric” and for giving Melbourne’s East West Link, cancelled in 2014, “high priority” status. 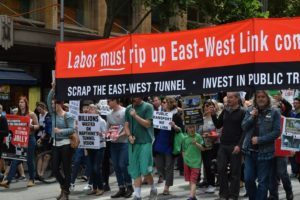 The cancelled Roe 8project in Perth was removed from the list. But our research, yet to be published, has found these business cases leave out highly significant costs. This article looks at three prominent projects – the WestConnex and East-West Link motorways in Sydney and Melbourne respectively, and Cross River Rail in Brisbane – to illustrate how business cases submitted to Infrastructure Australia do not follow its requirements in key respects. This casts serious doubt on the business cases used to justify major motorway projects, as well as on how priority projects are selected. Article first published in The Conversation on the 19th of April, 2018. Glen Searle is an Honorary Associate Professor in Planning, University of Queensland and, University of Sydney. Crystal Legacy is a Senior Lecturer in Urban Planning, University of Melbourne. One Response to GLEN SEARLE, CRYSTAL LEGACY. 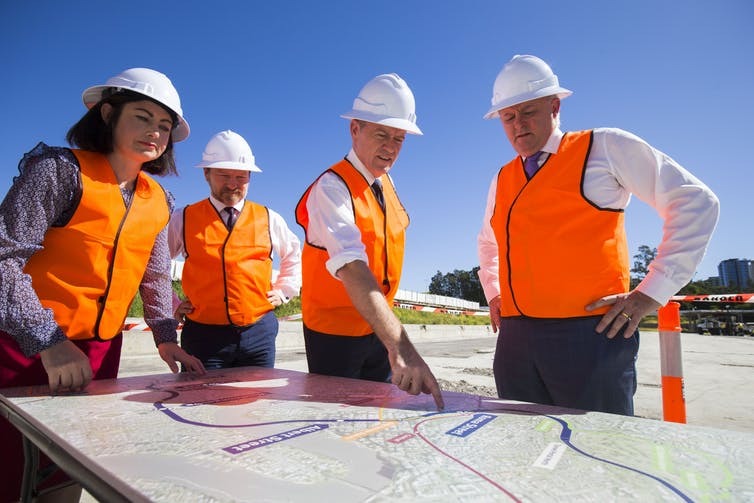 A closer look at business cases raises questions about ‘priority’ national infrastructure projects. These points about consistency, comparability and correctness are interesting and well-made. 1. In principle, wider-economic benefits, agglomeration, should be assessed (at most) at zero for any major urban road. The nature of urban roads is to distribute, not agglomerate. There is a further argument that some roads, for example those attracting traffic through CBDs, have wider economic disbenefits i.e. negative values for wider economic effects. 2. The question of bona fides of business cases is not addressed. Yet there is public evidence of some State Governments sometimes seeking to mislead independent assessors. There appears to be no ‘incentive’ to detect or correct this behaviour, and there has been no use of penalties such as are potentially available under the Commonwealth Criminal Code to discourage such practices. 3. The central matter giving rise to these and other bad practices in business cases, most importantly in the identification of ideas to develop in a public sector business case, is the absence of a proper Constitutional – or Federal – basis for Commonwealth Government involvement in, or support for, most projects including all submitted to Infrastructure Australia. Without a rigorous approach to such fundamental questions as legality and role, what hope for rigour in individual business cases and assessments? That Infrastructure Australia has not publicly advised on this, post clarification of the law in 2014, reflects poorly. The article, and each of the above points, indicates public processes – including open examination of evidence, claims and proponents – is essential to begin to build confidence in identification and assessment of infrastructure needs.